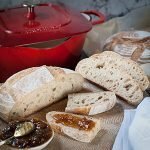 Sourdough bread… and a new partnership! We’re so excited about today’s post! 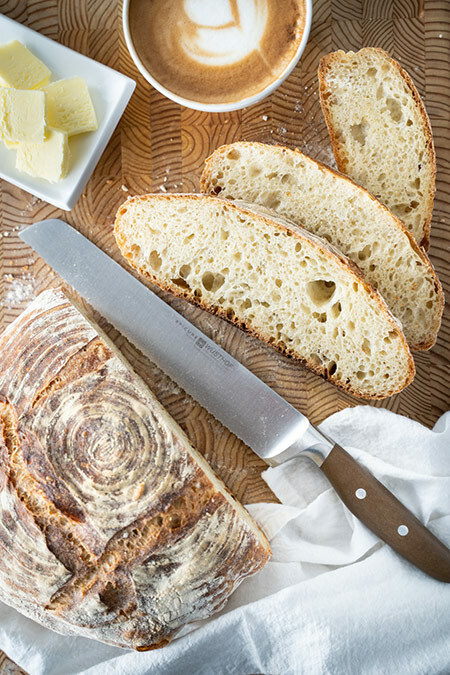 We get to share with you a delicious and healthy Sourdough bread recipe, and a new partnership with a company that holds a special place in our hearts… Canadian Tire! I must say, outside of a few of my mom’s recipes, this sourdough bread is one of the most exciting things I’ve ever created in my kitchen. It’s not fancy and it’s not even that difficult to make. What really excites me is the history of this recipe, and of course, the quality and taste of the bread. Our new partner and a Dutch oven to love. So why does our new partner have a special place in our hearts? Liz and I both worked at Canadian Tire home office for years, and we both have great memories of the company and the people we worked with. The company is a Canadian retail icon and we’re both very proud to have been a part of that family. 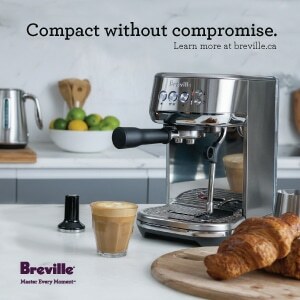 It’s a no brainer that we’re thrilled to be partnering with Canadian Tire on this sponsored post. 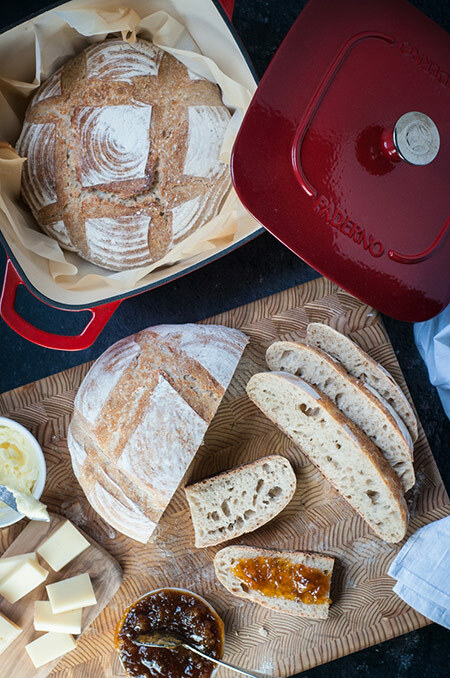 Although it’s not absolutely necessary for making this bread, a Dutch oven can make it a lot easier to achieve that beautiful crust on sourdough breads. The heavy Dutch oven material ensures consistent heat all around the dough, and the lid helps create steam during the first half of the baking process while moisture is being released from the dough. This new Dutch oven by Paderno is fantastic! 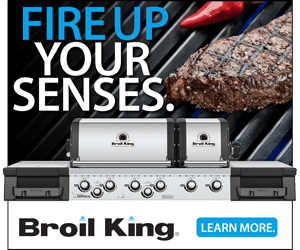 It’s solid, it’s built smart, and it looks beautiful in any kitchen. This Paderno Dutch oven was designed in Prince Edward Island, on Canada’s East coast; a part of the country we’ve had the pleasure of visiting twice and falling in love with. My culinary nemesis and a shout-out to a great baker! Sourdough starter is…or was…a culinary nemesis of mine (that plus my Portuguese Custard Tarts, which I also finally succeeded at making). I had wanted to make starter and sourdough bread for a couple of years. Unfortunately, my first few attempts weren’t successful and so I took a break. My past starter fails didn’t stop me from making bread. I’ve made a variety of breads that I’ve been happy with, but I’ve always had to use active dry yeast as my leavening agent… until now! I was recently browsing YouTube for some recipe inspiration, and I came across a video by Patrick Ryan, owner of Firehouse Bakery in Ireland. Patrick explains the process of making your own starter and sourdough bread in terms that are easy to understand. 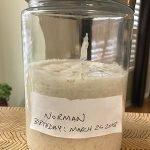 He gave me the confidence to give sourdough starter another go. I followed Patrick’s instructions and achieved success. Then I made a few tweaks and adjustments, and I was pleasantly surprised at the amazing results of my first loaves of sourdough bread! Liz and our kids were pleased too. We spread on some quality butter and enjoyed the bread while it was still warm. What a treat. It was smiles all around the table. Thank you Patrick! Your bakery is on my bucket list of places to visit one day. Want to know more about Sourdough? It’s FAQ time. How far back does sourdough go? Thousands of years! The active dry yeast that most people use today has been around for between 100 to 200 years. It’s popular because it’s easy to use and doesn’t take long to help dough rise. That certainly simplifies things for the mass production of baked goods. 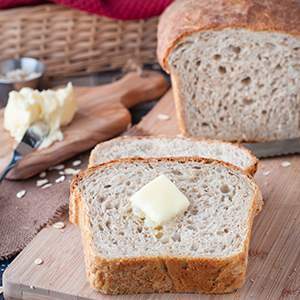 However, before the days of packaged and store-bought active dry yeast, leavening agents were made at home. Based on all the research I’ve done for today’s recipe, it appears that bread has been baked with sourdough starter for at least 5000 years, possibly a lot longer. 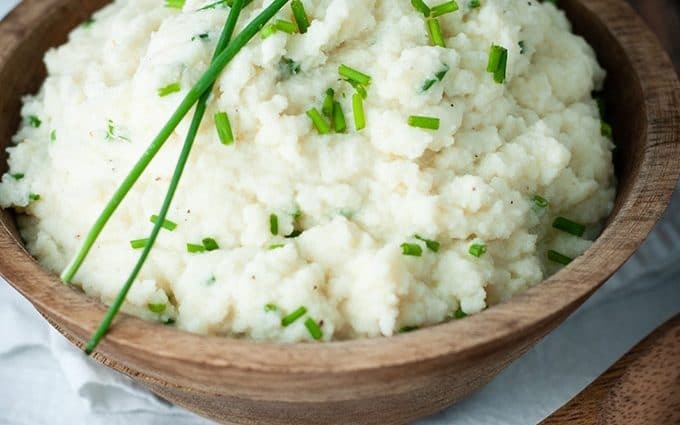 Can anyone make starter at home? Absolutely! Sourdough starter is made with equal parts water and flour. The mix is fed daily (equal parts each time), creating a cycle of fermentation from the bacteria it picks up from air and protein from the flour. It takes dedication, but it’s that simple. 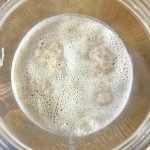 After about 7 days, a healthy starter becomes a leavening agent that can be used to make delicious sourdough bread or other foods that you might typically make with active dry yeast. San Francisco is known as the superstar city for bakeries using starters. Some bakeries have starter that’s been active for over 120 years. Do I have to make my own starter to make this bread? Making starter isn’t difficult, but it is time consuming to get it going. If you feel like getting a head start, go to the best local bakery you can find, and ask if they can give you some starter. Quality bakeries will likely have active starter on hand, and they might be happy to share some with you. It doesn’t hurt to ask. 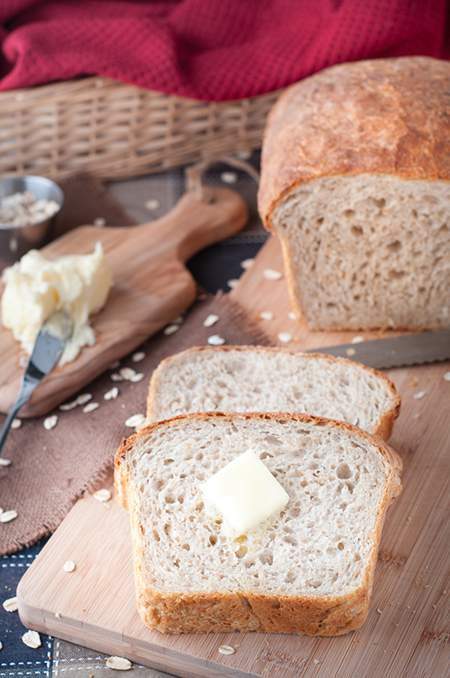 Is this sourdough bread really healthy and easy to digest? We made this bread because it’s incredibly delicious! The icing on the cake is that it’s also one of the healthiest breads around! 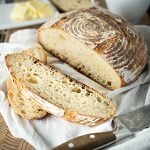 According to many articles I’ve read on this topic, sourdough bread is very healthy and easy to digest, even for some people with gluten sensitivity. This is because of the lengthy rise times; the gluten breaks down, making it easier to digest. 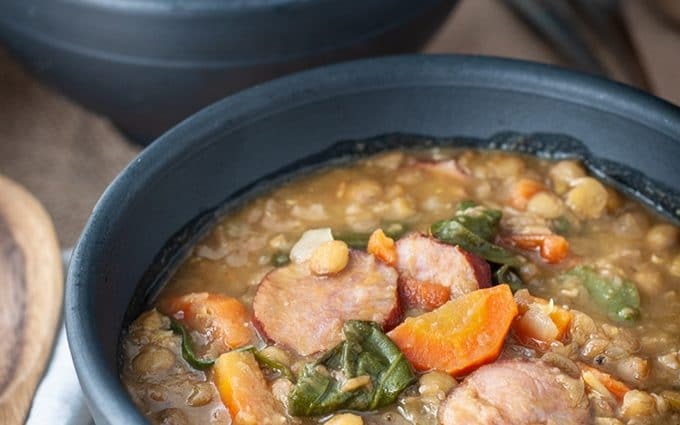 From a recipe with deep roots in history, to a partnership with Canadian Tire which has deep roots in Canada and our hearts, this recipe has been a truly enjoyable experience for me. I think it’s cool to learn about the history of the foods we eat. I also think it’s cool to create delicious, simple, and healthy food at home. I encourage you to give this a try at home. There’s something incredibly amazing about homemade artisan-style bread. You’ll know what I mean. Go for it…and eat well, friends. Sourdough bread using sourdough starter has been baked for thousands of years. This bread is delicious, healthy and it's easy to digest, even for people with some intolerance to gluten! In a bowl, mix together 50g of the whole wheat flour and 50g of distilled water until there are no lumps. Note: We do this around 7pm. You will be feeding (adding flour and water) every 12 hours for a while. 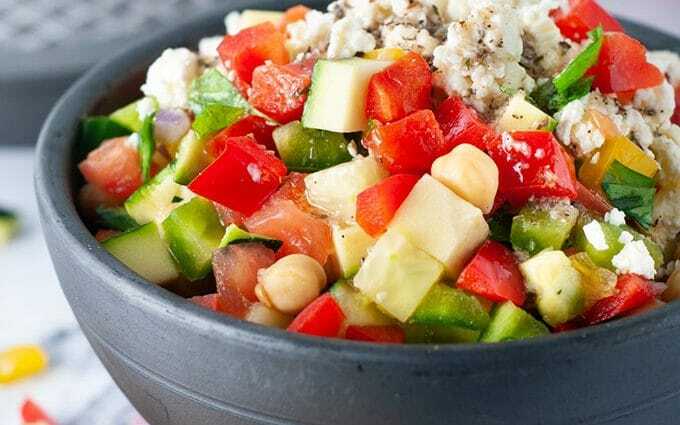 Loosely cover the bowl and place it in a warm and breeze-free area of your kitchen. 12 hours later (in the morning), mix in 50g of whole wheat flour and 50g of distilled water until there are no lumps. Pour the mix into a jar. We use a tall 1.5 litre clear glass jar. Cover the jar with a lid, but leave the lid on loose, so it can access bacteria from the air. 12 hours later, mix in another 100g of whole wheat flour and 100g of distilled water until there are no lumps. Cover loosely and set aside. From this point on, you should start to see bubbles forming. This is good! This means your starter is alive. You will need to keep feeding it every 12 hours for about 7 days before it's ready to be used for baking bread. Feel free to alternate between quality whole wheat flour and quality all purpose flour for every feeding. It's best to start the first 2 to 3 feedings with whole wheat flour to activate your starter. Once the starter reaches about 60% of your jar's height, discard (or give some to a friends so they can start their own) about 100g of starter before every feeding. Don't let the starter reach the top. It will need room to rise after each feeding. Discard more if necessary. Your starter will rise by about 30%, 3 to 4 hours after every feeding. This is when it's most active. This is the perfect time to use it for bread making. This sourdough bread recipe uses quite a bit of starter. Once you use the starter for bread, feed the starter to rebuild your quantity. This way, you'll be ready for the next time you want to bake. If you're like us, you probably don't have time to bake everyday. Feeding your starter every 12 hours can become a lot of work and expensive. It's time to slow it down! Simply place your jar in the fridge, loosely covered. Cold slows down your starter's growth. You only have to feed it once per week while it's in the fridge. 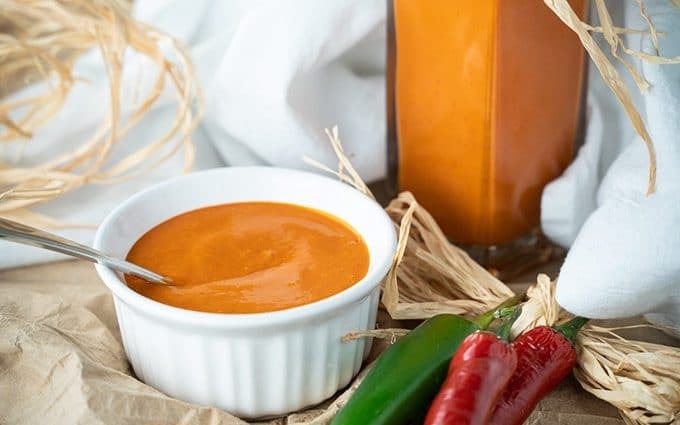 Once you're ready to feed the starter or you'd like to bake some more bread, take the starter out of the fridge and let it warm up to room temperature. Mix in another 100g of whole wheat flour and 100g of distilled water until there are no lumps. Once the starter starts to rise, it's ready to be used. In a large bowl, mix together (with your hand or a flexible scraper) the 800g of flour, water, salt and starter until the dough is combined enough that the water is incorporated into the flour mixture. Pour the dough onto a clean counter. Start needing by pressing the heel of your hand into the dough in a forward motion. The dough will feel quite wet at this point. Do not add flour! Bring the dough back over using the tips of your fingers of your other hand. Push again with the heel of your hand and keep repeating until the dough starts to hold together. This step should take 2 to 3 minutes. Once the dough starts holding together, place the dough in a stand mixer bowl with the dough hook and set it to kneading speed (Speed 2 on our KitchenAid. See you manufacturer's instructions). Knead for about 8-9 minutes. The dough should look smooth and a bit shiny. If you don't have a stand mixer, keep kneading by hand for about 8-9 minutes or until you see the same result. Pour the olive oil on your hands and rub them together to coat. Pour the dough back onto the clean counter. Pull the dough in from the edges to the centre to form a ball (use the scraper to help pull it off the counter). Place the dough, seam-side down in the bowl. Cover lightly (don't seal the sides) with cling wrap and cover with a towel. Let the dough rise for 4 hours. Flour your proofing baskets or other bowls lined with dish towels generously. This will keep the dough from sticking to the basket (or towel) during the next rise. Lightly dust the clean counter with flour and pour the dough onto the counter. Dust your hands with flour. Stretch the dough out to remove the large air bubbles. Start pulling the edges back into the centre to form a ball. With a dough scraper/cutter, cut the dough into two equal parts. Dust the counter and your hands slightly with flour. Place the first piece of dough in the centre and start pulling edges out and up and into the centre, while rotating the dough. Once again, this should form a ball of dough. Once the ball is formed, turn it over onto the seam. Place your fingers from one hand inside and over the fingers of your other hand (like you're receiving a gift) and pull the dough towards you dragging your fingers across the counter into the base of the dough. This will pull in the dough exterior tighter. Rotate the dough and repeat all around until you have a nice tight ball and the seams below are sealed. Repeat the last step for the second ball of dough. Place the dough balls in your proofing baskets (or other bowls), seam side up. Lightly flour the tops and cover with a dish cloth. Let the dough rise for another 3.5 to 4 hours. Place the dutch oven with the lid in the oven and preheat to 450 ºF. Place a large piece of parchment paper over the first proofing basket and flip it over so that the dough is now sitting on the parchment paper. Lift the dough slightly to let the excess flour fall off the paper sides onto the counter. Using a very sharp knife, cut slits (one to two cm deep) with a quick movement into the top of the dough. We cut a square, but you can use any shape you like. These cuts are needed. They let out steam while the bread is baking. Remove the dutch oven from the oven (careful, it's very hot) and remove the lid. Using the edges of the parchment paper, place the dough into the dutch oven and cover. Place the dutch oven back in the oven (second shelf from the bottom) and bake for 25 minutes. Take the finished bread out of the dutch oven, using the edges of the parchment paper and place the bread on a cooling rack. Bake the second loaf of bread using the last 6 steps. The humidity in the air, the brand of flour you use, you're home's temperature and the elevation of where you live will all factor in to your bread making experience. Use this recipe as your starting point and adjust as needed. Don't get discouraged if your first attempt doesn't work out (it's happened to me a few times). Make sure your starter is healthy. It should be bubbling on the top and it should be about 30% higher in the jar than when you fed it. If you find that the dough is far to wet and never combines well into a ball, reduce the amount of water in the recipe. It's not necessary to own a heavy duty stand mixer with a dough hook, but it definitely makes things easier and will likely increase the chances of you wanting to do the recipe often. The dough will feel quite wet. Resist the urge to add more flour. A dry dough will have a hard time rising and will give you less of those beautiful holes in your bread crumb. We used organic bleach-free all purpose flour. Feel free to experiment with other types of flour. The key is to use high quality flour. Bleach and other chemicals will decrease the quality of your final product. Starter: While fermenting, you may see some liquid on top of the bubbles. You have nothing to worry about. Just mix it in with the mixture. You only need to worry if the starter starts to smell bad. Sweet or vinegar-like smells are okay. 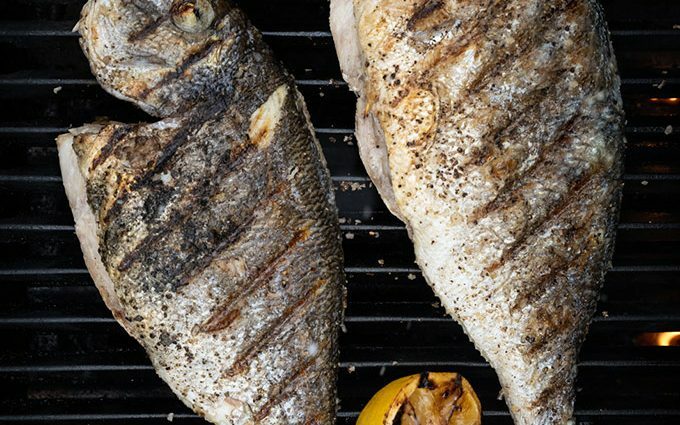 Starter: Once the starter is active, it's easy to keep healthy and it's not a lot of work.